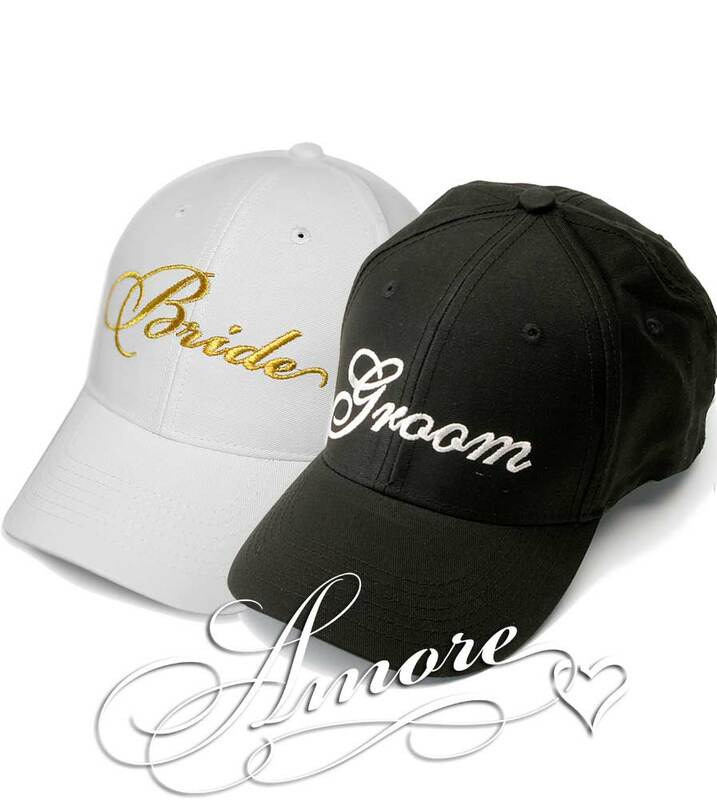 You are getting both the Bride and the Groom Cap. Have fun with these. One size fits all. Great wedding gift. Fun to wear prior to the wedding, parties, receptions, honeymoon and bachelor party. They are made 100% cotton, with a beautiful embroidery.